Spend a view lovely hours or days in the beautiful region of Alsace – we recommend you visiting not only the biggest christmas market in Basel (Switzerland) but as well the world famous and authentic christmas markets in France / Alsace. 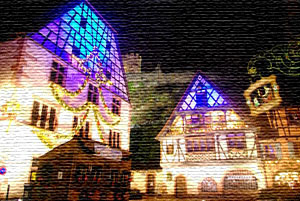 With our taxi or limousine service we will bring you safe and comfortably from Basel to your prefered christmas market in Alsace. Please send us an e-mail to info @ airport-taxiservice.ch. Fairy and magic atmosphere in the heart of the illuminated old town. Every year, from the first weekend of Advent to Epiphany, it holds its traditional Christmas craft market. 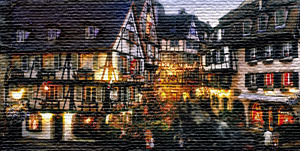 This market is one of the oldest in the region and is an authentic example of the magic of Christmas in Alsace. 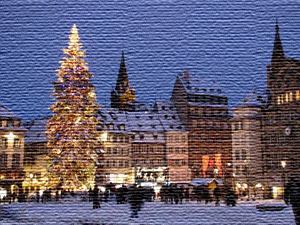 Christmas markets are situated in the historic center. Ideally placed, they will allow you to appreciate a unique atmosphere and to discover at the same time the architectural heritage. Founded in 1570, Strasbourg Christmas market is without a doubt the most famous of all thanks to its size and location in the capital of Europe. Young and old will love to stroll from chalet to chalet, enjoying the spice bread, bretzels, confectionery, pastries and mulled wine on offer. There is something for every taste: the famous „Christkindelsmärik“, the oldest Christmas market in Strasbourg, awaits you on Place Broglie ! The Alsatian food market takes place on Place des Meuniers. As for the Comptoir des Rois Mages and the Carré d’Or market, they can be found on Place Benjamin-Zix and Place du Temple-Neuf respectively. On Place d’Austerlitz, the great taste of local produce takes pride of place with the Bredle market and the realm of the winegrowers of the Couronne d’Or. You will also find local produce and crafts at the „Terroir et Artisanat“ market on Place de la Gare in front of the station.